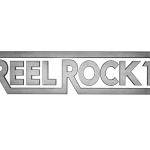 Reel Rock 11 – Coming This Spring! Reel Rock 11 is coming to Australia again in 2016, proudly supported by Expedition Equipment and Vertical Life. Reel Rock 11 latest collection of electrifying climbing films showcases the sport's biggest stories and athletes. The five new films deliver edge-of-your-seat action, globe-trotting exploration, big laughs and true inspiration. With shows all around Australia, make sure you check out the Reel Rock Tour site to find a show near you! FIND A SHOW!